My photography has shown at the Borderlands Cafe in San Francisco and at the Museum of Death in Hollywood. My “Bone Chalice” photo is in the Museum’s permanent collection. Click on photo thumbnail to view the full-size photo. THE HAUNTED MANSION PROJECT: YEAR TWO, edited by Loren Rhoads, (Damnation Books), scheduled for June 2013. 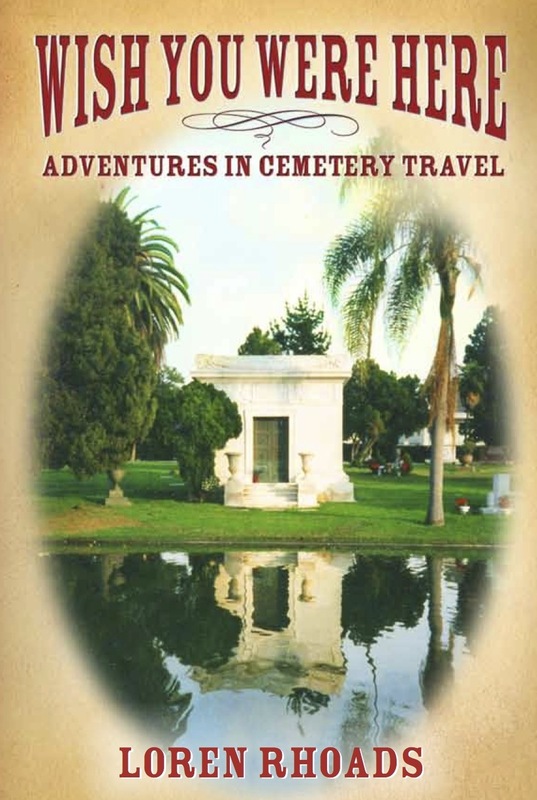 Several hundred photos for Cemetery Travel February 1, 2011 – currently. Seven photos in THE HAUNTED MANSION PROJECT: YEAR ONE (Damnation Books), April 2012. 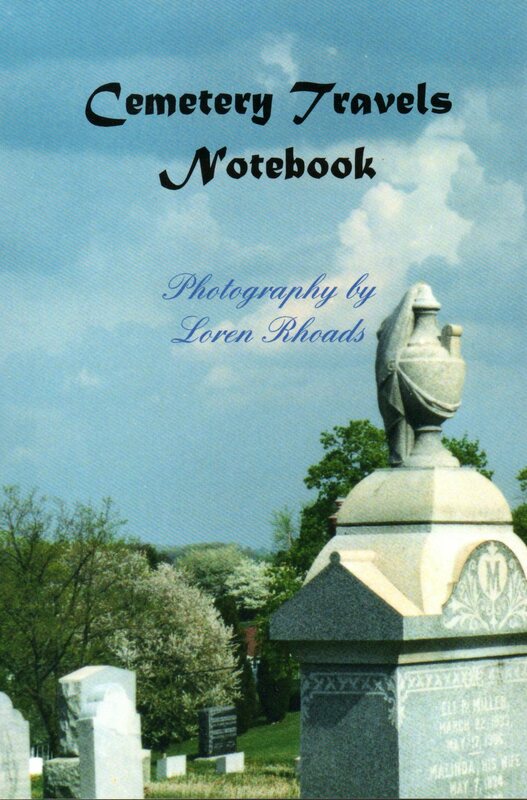 Cemetery Travel Notebook, cover photos and 17 interior photos, Automatism Press, March 2012. “The Mormon Temple in Oakland,” MORBID CURIOSITY CURES THE BLUES, Scribner, October 2009. It was one of a series published in Morbid Curiosity #2, August 1998. Cover photo and five interior photos for the ebook Ashes & Rust (Automatism Press), January 2012. The chapbook was originally published by Automatism Press in September 2005. “Prometheus,” published to illustrate an interview with me, Black Sunday #1, September 2011. Five photos of Valhalla Memorial Park’s Shrine to Fallen Aviators to illustrate “With Folded Wings,” AGS Quarterly Newsletter, volume 34 #4, Fall 2010. Set dressing for Illusions of Shameless Abundance by Survival Research Laboratories, Morbid Curiosity #10, May 2006. Series on Pompeii, Morbid Curiosity #10, May 2006. Series on Hollywood Memorial Cemetery, Morbid Curiosity #9, April 2005. “St. Louis #1 Cemetery” and “Lafayette Cemetery,” Morbid Curiosity #9, April 2005. Cover of Morbid Curiosity #2, THE GOTH BIBLE (St. Martin’s Griffin), October 2004. The photo “Thoughtful Muse” was originally published on the cover of Morbid Curiosity #2, August 1998. “Hiroshima Atomic Dome” and “U.S.S. Arizona Memorial Chapel,” Morbid Curiosity #8, May 2004. Six photos to illustrate “Florence’s ‘English’ Cemetery,” Official Newsletter of the Horror Writers Association volume 14 #40, August 2003. Front cover photo for Also Rising CD by SubArachnoid Space, (Strange Attractors Audio House), April 2003. Photos of San Francisco Bay piers, Morbid Curiosity #7, April 2003. “Altar/self-portrait,” Morbid Curiosity #7, April 2003. 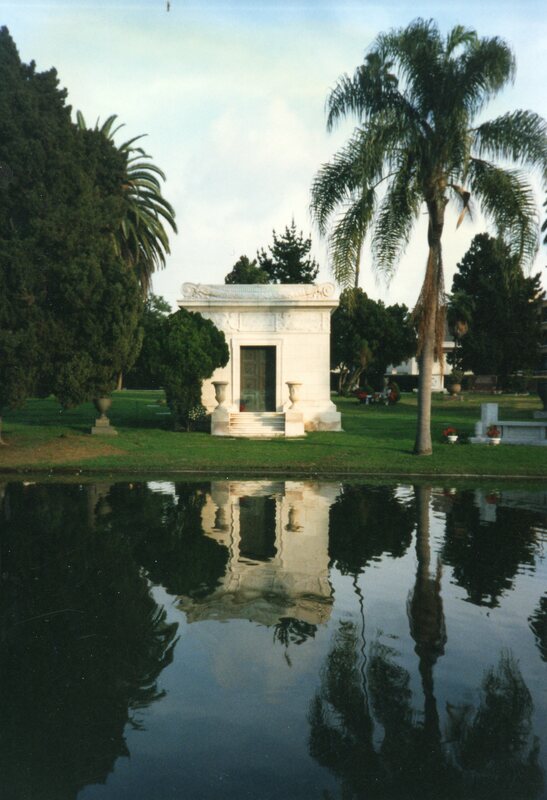 Photos of Mountain View Cemetery, Morbid Curiosity #7, April 2003. 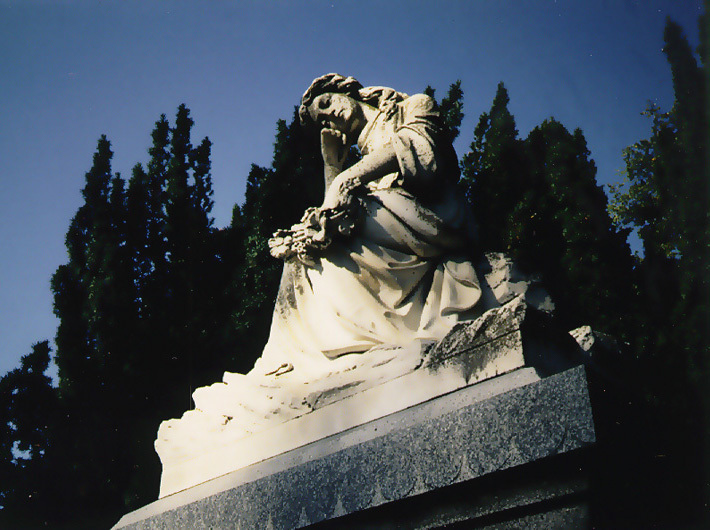 Photos to illustrate my monthly cemetery columns, Gothic.Net, May 1999 – February 2003. “Angel of Light” to illustrate “How I Got Interested in Graveyards,” AGS Quarterly: Bulletin of the Association for Gravestone Studies, volume 26 #4, Fall 2002. The color version appeared originally in the booklet for the Automatism CD by Trance (Charnel House Productions), Spring 1991. Front and back cover photos, Tigris/Euphrates split LP by SubArachnoid Space and Bardo Pond, (Camera Obscura Records), September 2002. Three photos to illustrate “Iniquity by the Glass,” about drinking absinthe in Prague, Trip Lit, August 2002. “Young Souls and Old Stones,” a gallery of 10 photographs on the Stones CD (Lone Wolf Publications), February 2002. “Bone Chalice” to illustrate “Tracing the Graves: Inside the Mind of Morbid Curiosity’s Loren Rhoads” by Alex S. Johnson, Vial #3.5, Winter 2002. Reprinted from the black-and-white cover photo of Morbid Curiosity #3, May 1999. The color version was used on the promotional postcard. “Tasters,” Ongaku Otaku #4, June 2001. “Batesville Casket Truck,” Morbid Curiosity #5, May 2001. “Grandma’s Gravestone,” Morbid Curiosity #5, May 2001. 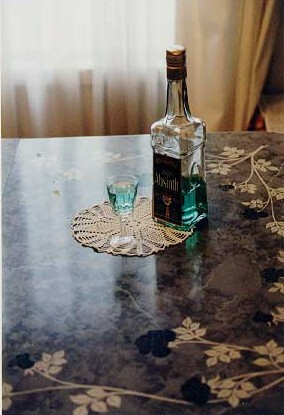 Three photos for “Absinthe Makes the Heart Grow Fonder,” Trips: A Travel Journal, December 2000. 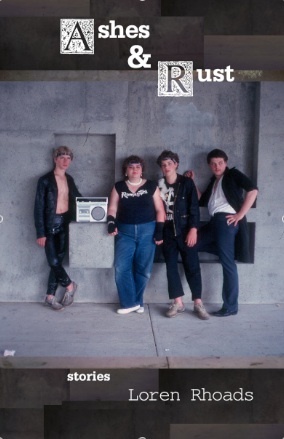 Front and back cover photos, along with photos of the band inside the booklet for the These Things Take Time CD by SubArachnoid Space (Release Entertainment), September 2000. 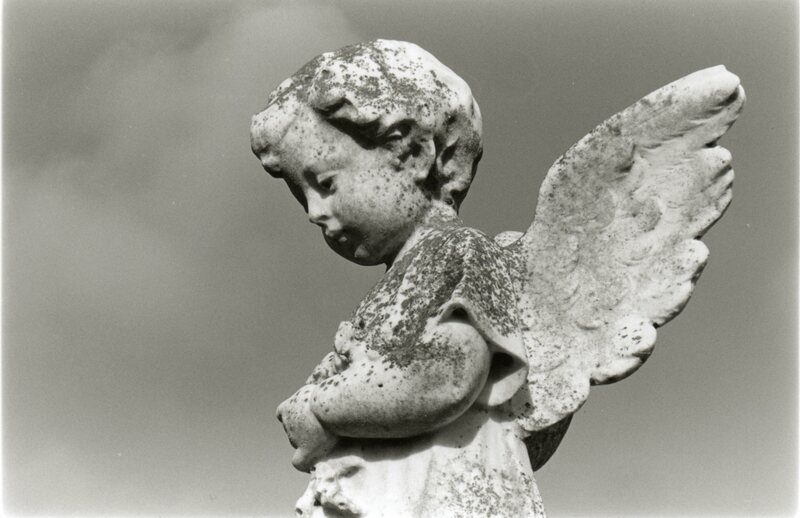 “Angel Child,” Cemetery Art 2001 calendar, The Association for Gravestone Studies, July 2000. Three photos to illustrate “San Francisco: Crimes Seen,” Trips: A Travel Journal #12, April 2000. Ann Arbor graffiti and a series on drug graffiti, Morbid Curiosity #3, May 1999. 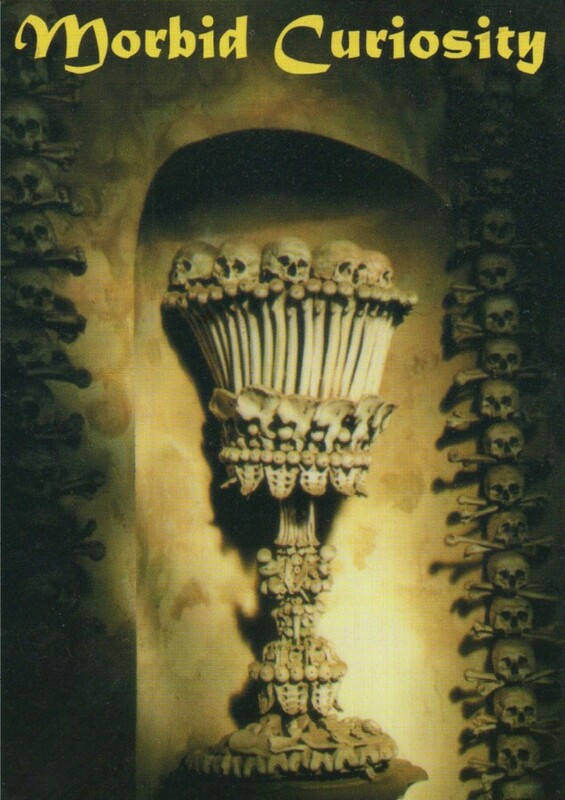 Series from the Sedlec Ossuary, Morbid Curiosity #3, May 1999. Series of Alcatraz Prison, Morbid Curiosity #3, May 1999. “Patriarchs” (front cover) and “Grief” (back cover) of the Within a Golden Moment CD by Mason Jones and Kawabata Makoto (Acid Mothers Temple), April 1999. 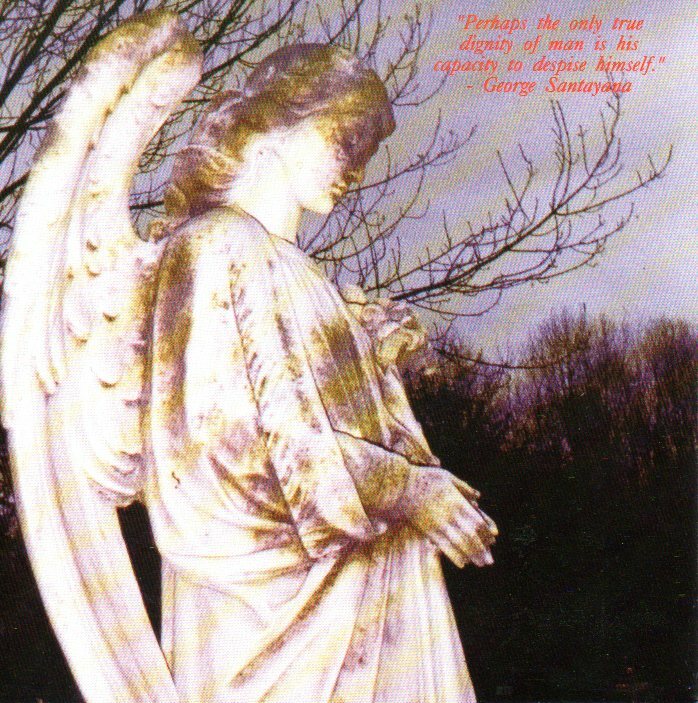 “Grave Offerings” (cover photo) and “Urn” (in the booklet) of the Midnight in the Twilight Factory CD by Mason Jones (Monotremata Records), December 1998. 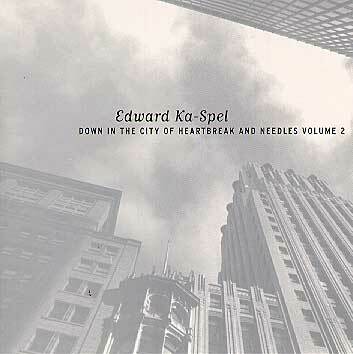 “Canyon in the Financial District” (cover photo of the booklet and CD photo) for Down in the City of Heartbreak and Needles, volume 2 by Edward Ka-Spel (Soleilmoon Recordings), September 1998. “Spam & Wonder Bread,” Morbid Curiosity #2, August 1998. “Junkie Graffiti” series, Morbid Curiosity #2, August 1998. 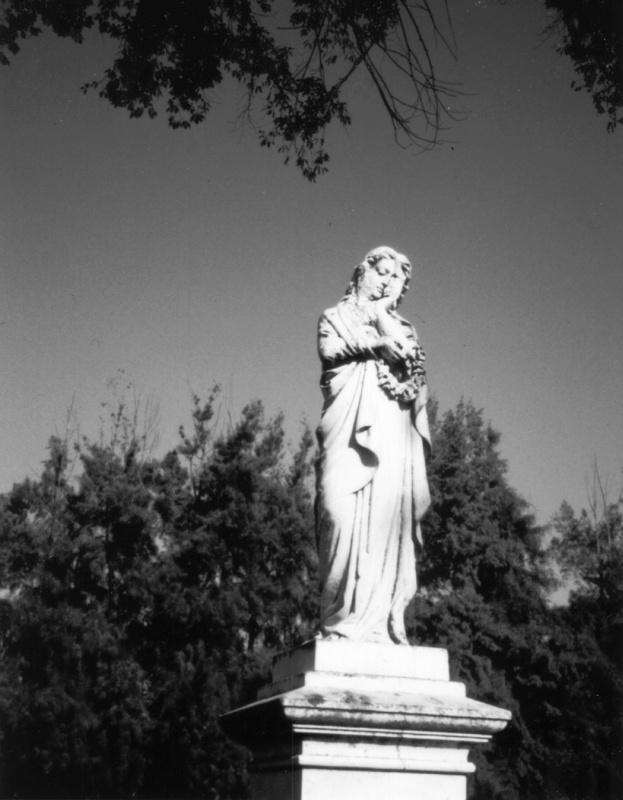 Series from “Sacramento’s Old City Cemetery,” Morbid Curiosity #2, August 1998. “Mired Mastodon,” Morbid Curiosity #1, May 1997. “Embalming Equipment,” Morbid Curiosity #1, May 1997. “Temple of Hera” (cover photo) and “Grief” (in the booklet) of the Augury CD by Trance as released by Obuh Records in Poland), Summer 1996. “Temple of Hera at Olympia” (cover photo), “Christ in Gethsemane” and “Highgate Forest” (in the booklet) of the Augury CD by Trance (Charnel Music), Winter 1996. 122 photos in DEATH’S GARDEN: RELATIONSHIP WITH CEMETERIES (Automatism Press), January 1995. 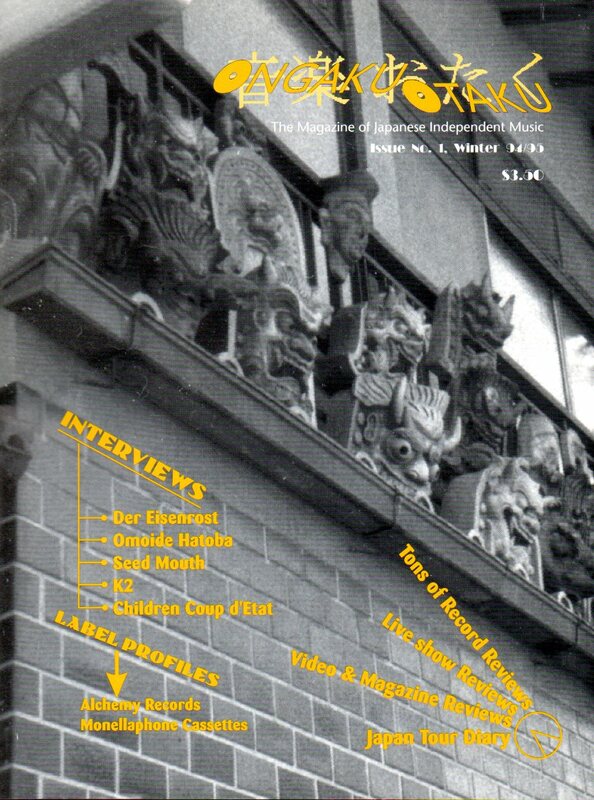 “Kyoto Gargoyles” (cover photo) and 10 photos in the “Journey to the Rising Sun” series, Ongaku Otaku #1, Winter 1994-95. “Heart-Shaped Pillow,” You Could Do Worse #1, Spring 1994. “RSK & Friend in Golden Gate Park,” Archie McPhee catalog #28, Summer 1993. “Waiting for the Final Date,” File 13 #15, Spring 1993. “On the Beach in Leather” and “In Père Lachaise,” Chton #2, illustrating an interview they did with Mason Jones about Charnel House Productions, 1992. “Amidst the Graves” and “With Victory,” Isolation #6, illustrating an interview they did with Mason Jones as Trance, December 1991. “Jeff Eats Pigeon” in the booklet for Wakened by Silence, a tape compilation of San Francisco-area experimental music and art (Charnel House Productions), November 1991.